To begin with, there were quite a few book reviews through the year culminating in a list of brilliant books I read in 2016. Coaching was an important part of the posts this year. I also finished my first stint with iOwn, India’s first social change movement through coaching. It was a great experience working with my client and bring her to a level where the difference was evident to both of us. The top post – 8 important principles of good writing you should master – continued to be at the most viewed with thrice as many -6400 views – in 2016 alone. Another popular post that garnered 2500 views is How to start a career as a corporate trainer. 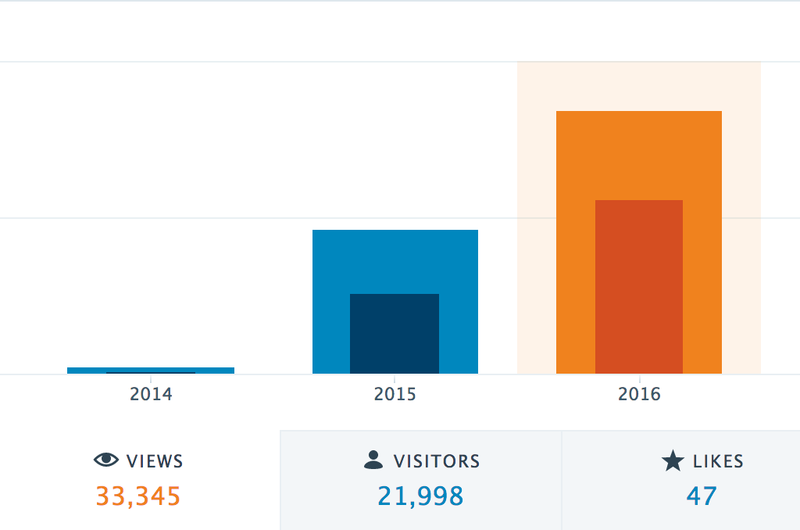 Posts on coaching found quite a bit of blogging space in 2016. I tried to cover all aspects of making coaching a common practice for managers and individuals alike. Coaching can be simply done with as short as a 3 question format and 10 minutes in hand! One of the biggest milestones of the year was to start shooting videos and share audio-visual content with you all. It has been a hard but learning experience to record videos and speak to the non-existent eyes of the camera. You can watch all the awesome content created for you on soft skills and communication right here! Blog Like Suman – India’s first blogging workshop for people who want to start blogging was launched in December 2015 and it became a full day flagship program by June 2016. 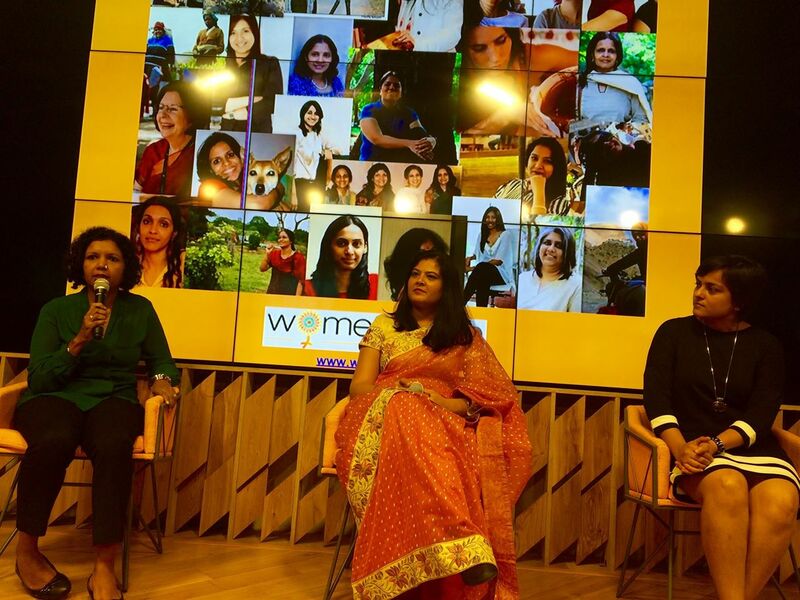 The last batch saw women in full power and their zeal to start blogging was truly inspiring. It was a matter of pride and honour when I was published this year on Women’s Web, India’s largest community of women where women share real stories about all aspects of being a woman. I also later went on to become a panelist for a discussion on social media during their event #BreakingBarriers. There are a lot of exciting things I have planned for 2017. Primary among them are India’s first personalised and customised speaking skills program that helps you sharpen your speaking skills under a certified trainer who will work exclusively with you. The program has cutting edge content from the best sources and is designed to be delivered according to your convenience. Also coming up is a new module exclusively for women who wish to head back to a second career. They can get updated and groomed to face interviews confidently and be able to use social media to build their own brand for better employment opportunities. January 2017 is also going to be the month when we all make resolutions and break them too! How about making goals instead and achieving them? Drop me a line if you wish to work with me on your goals. More announcements coming up about this soon! Also look forward to downloadable resources on soft skills on the blog this year. I am so excited to be working on so many projects to bring to you the best in soft skills and communication. I am also looking forward to connecting with people individually and make a difference tot heir lives through my skills. Talk to you soon! If any of the above programs sound interesting to you, drop me a line here and I will get in touch with you.